UAE-based bank Mashreq has selected Blue Prism’s Digital Workforce to improve processing time for its customer services. Blue Prism integrates artificial intelligence (AI) and automates dozens of processes across various business functions, including banking operations, compliance, customer care and its technology help desk. Sandeep Chouhan, group head of operations and technology at Mashreq Bank, says it selected Blue Prism because it was the “most scalable, secure and compliant solution available”. As a result of automating many internal tasks and processes, Blue Prism says Mashreq has seen more than 150,000 secure and error free transactions executed daily. It has also delivered a better issue TAT (turn around time) by 65% on manual processes, and reduced customer complaints by 90%. In addition, individual branch productivity is up by 60% while human worker costs are down by almost 87% due to the bolstering of human workers with robotic process automation (RPA) tools. 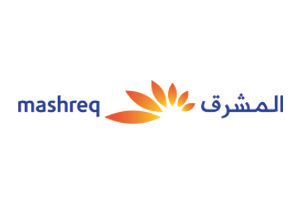 As reported last year, Mashreq confirmed its future as a branchless bank, with the launch of its digital entity Mashreq Neo. Mobile financial services company Vipera assisted with the new bank launch. The London-based firm offers its Motif platform to clients in Asia, the Middle East and Europe. Motif is comprised of three personal banking products: mobile banking, mobile payments and mobile card control. Established in 1967, Mashreq has a presence in 11 countries outside the UAE with 21 overseas branches and offices across Europe, USA, Asia and Africa. Blue Prism is headquartered in the UK and was founded in 2001. Some of its clients include Aegon, BNY Mellon, Commerzbank, IBM, ING, Nordea, Raiffeisen Bank and Westpac.